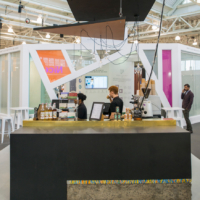 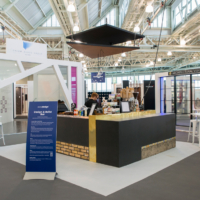 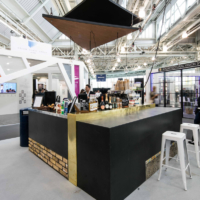 The bar was designed for 100% Design show 2017. 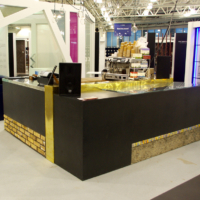 The theme of the show was ‘elements’ and the bar design was my interpretation of this. 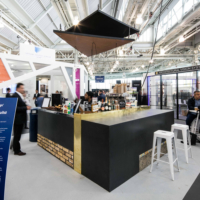 The bar was fully functional and served the Design & Build section of the show as well as being a feature at the late night event. 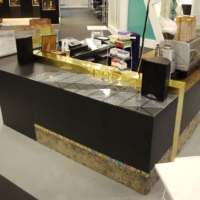 The bar is built from a combination of black valchromat and panels of materials that relate to the history of London. 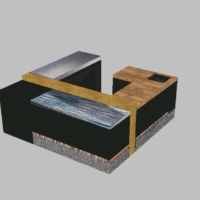 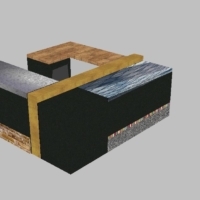 The materials reference the industrial history, geology and historical and contemporary innovation that has taken place in the city and included pitch pine, pitted concrete, brass, tin, rubber bands, London yellow stock bricks and glass.